In Boston's North End, you can't help but notice that suddenly everyone walking past you has a white box, tied with string, marked in blue letters "Mike's Pastry." With a line usually out the door and rows of goodies, especially marzipan and cannolis, most people veer off the red brick Freedom Trail to buy a box for themselves. It happened to us--twice--and our oldest still talks about their store (three years later). So, I was delighted to find an Italian market and deli in Salt Lake City that served tempting fare to rival any Boston establishment. And yes, they do sell cannolis. Award winning Caputo's, with three locations in Utah, is a specialty market with fine chocolate, cheeses, olive oils, deli meats, and more. Two things set this market apart--the quality and the education. 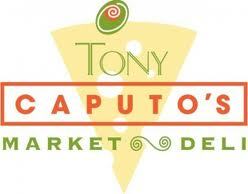 Caputo's offers many classes from beer to cheese to chocolates to cooking. My husband and I tried the Intro to Fine Chocolate class and loved it. His favorite was sampling drinking chocolate and I couldn't get enough of the Armedi Chuao. 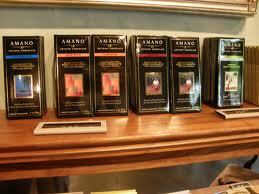 We took home several additional chocolates to try and love Utah owned Amano (especially the Guayas). The advantage of the class is you learn the difference between grocery store chocolates (even more expensive dark chocolate sold at grocery stores) and fine chocolates. The class offers different types of fine chocolates to sample (such as citrus, earthy, coffee, floral, etc) as well as different brands so you get a good idea of what is available. Because Caputo's boasts of the largest and most exclusive collection of fine chocolates, it will take more than one class to sample your way through their extensive collection. We have stopped by since the class to sample pastries, cheese, meats, and sandwiches. All of their food has been delicious. If your mouth is watering, be sure to check them out at www.caputosdeli.com to see their full selection including a list of classes or at www.caputoschocolate.com with detailed descriptions about their chocolate collection. And if you live in the area, stop by. Their staff is knowledgable and friendly, they will happily show you around the store answering questions and making suggestions, and they offer all sorts of samples. It is also a great place for lunch.